4 August | 7-10 | 535 Tchoupitoulas St.
11 August | 6-9 | 1901 Royal St. The preservation of New Orleans’ history is passed down on front porches, with long walks through old neighborhoods, through fervent pens of historians and by those who are born and raised and have stayed as an imperfect city builds and rebuilds, all the while celebrating the eccentricities that make it unlike any other place. Such is the work of Richard Campanella, a geographer with the Tulane School of Architecture and latest neighborhood curator of Where Y’Art’s rotating exhibition at The Old No. 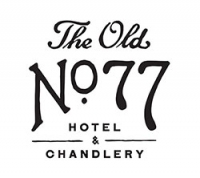 77 Hotel & Chandlery. Debuting on Saturday, August 4th in conjunction with White Linen Night, Urbanism & Eccentricities celebrates the history of a 300-year-old city as envisioned by its artists. For over twenty years, New Orleanians have descended upon Julia Street amassed in their best white linen in support of the city’s contemporary artists. The neighborhood that now draws thousands of art patrons to White Linen Night on the first weekend of August has long been a place dedicated to making things. From metal workshops and tobacco warehouses to rope makers and light manufacturers, this corridor of a 300-year old city has a history of its own. 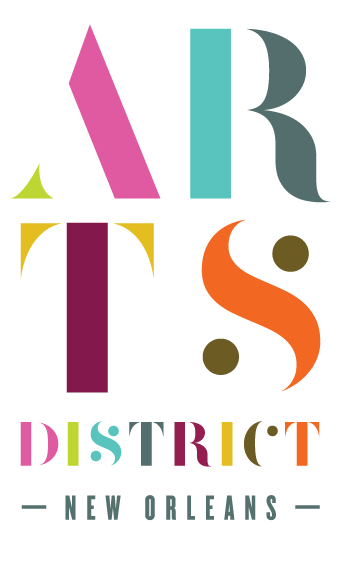 This neighborhood, now known as the Warehouse Arts District, once went by another name – St. Mary’s Batture – a space once claimed by the Mississippi River in the 1700’s that has since evolved with the passing of three centuries into a bourgeoning arts district. It is, as is true of greater New Orleans, a story of urbanism that Richard Campanella has documented and shared through over 200 articles, 10 authored publications and 18 years of professorship at Tulane University. An exploration of the urban and cultural fabric of New Orleans, Urbanism & Eccentricities depicts the history of place drenched in multicultural influences through the works of 23 Where Y’Art artists including Kristen Albrecht, Muffin Bernstein, Debbie Boyd, Lyla Clayre, Renee Dodge, Keith Eccles, Patrick Henry, David Joshua Jennings, Nancy Wolfe Kimberly, Connie Kittok, Shelby Little, Ellen Macomber, Rebecca Madura, Connor McManus, Rise Ochsner, Hope Parker, Stephanie Reed, Danielle Shubert, Holly Sudduth, Jamell Tate, Kate Tova, Debbie Willson and Alan Zakem. Urbanism & Eccentricities will open in conjunction with White Linen Night on August 4, 2018 from 7–10 PM at The Old No. 77 Hotel & Chandlery with cocktails by Compère Lapin and live music by Cole Williams Band. The interactive exhibition will allow show goers to interact with the art on their own comfort level by scanning QR codes to discover more about the artists, inspiration behind each piece, as well as shop additional works in their catalog on Whereyart.net. Urbanism & Eccentricities is the first half of a dual-location exhibition – the second half, Urbanism & Eccentricities: Part Two will open at Where Y’Art’s gallery on Royal Street in the Marigny on Saturday, August 11th during Dirty Linen Night.